A refreshing summer treat that's a breeze to make! 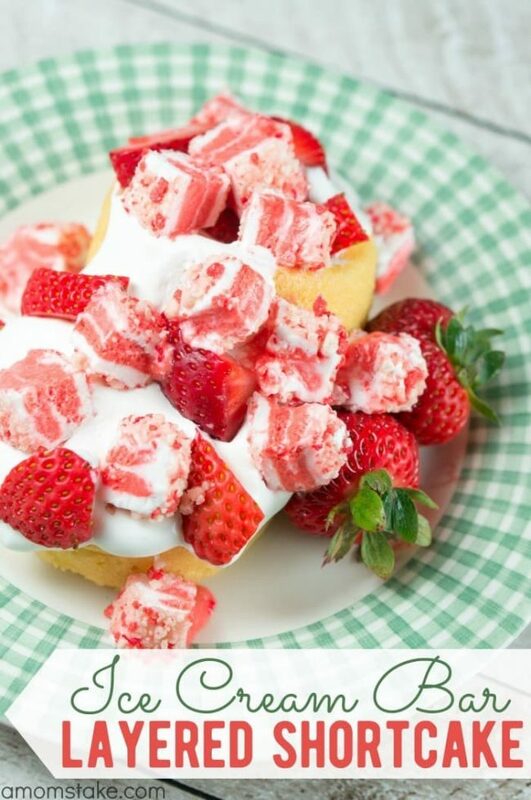 This twist takes Strawberry Shortcake to a whole new level! Add one or two shortcake pieces to each plate. Add several big scoops of whip cream on top. Sprinkle sliced strawberries on top. Remove the popsicle stick from your Good Humor Strawberry Shortcake Bars, then cut into cubes with a sharp knife. Sprinkle your ice cream bar pieces on top of each treat. If desired, you can also drizzle chocolate syrup on top.